Whenever I hear the word "Bangkok", the one thing that echoes in my head is "shopping". Bangkok is so far my favorite shopping destination in the world. What can I say: price's cheap and with Bangkok's various shopping centers, it's like you can almost find everything there! So it's definitely difficult to miss out "shopping" when talking about Bangkok. This place reminds me of Jakarta's Mangga Dua. Platinum is an indoor 6-floor shopping mall, where retail stores offer mostly local-branded clothing, accessories, cosmetics, and other fashion whatnots in rather below-the-market wholesale price. Women tops or dresses can go as low as around Rp 40k-50k per piece. One tip: buy more for better price. The place is actually huge, but always packed with people, so always mind your belongings. Basically another shopping mall like the Platinum. MBK is one of oldest shopping centers in Asia and a very popular shopping destination among local teenagers, especially girls. For tourists, it's widely-known as a one-stop electronics and gadgets cheap shopping destination, though there are some fashion and souvenir stores available. The food courts on the 5th and 6th floor would give you a great eating experience, with various Thai and international delights. Everything here is priced even lower than what Platinum offers. Pratunam Market is a very busy wholesale market that I suggest not to be expected as just "crowded", but "DAMN IS IT CROWDED". I think the market is likely as packed as Japan's Takeshita Street. One tip: shop in a group and get the best price by purchasing 3 pieces or more. Beware of scammers and pick pockets, also expect some rude shopkeepers. If you're not interested to buy more or shop for the wholesale price, always give bargaining a try. This shopping mall is a good alternative to all of the crowded cheap shopping destinations mentioned before. Union Mall is smaller than Platinum and offers the same fashion collection as Platinum. But the place is less crowded and the stores offer even lower price. The mall is also the local youngsters' favorite and tends towards younger crowd, so expect rather small-sized and teen-designed clothing. It has been famous as the tech stuff shopping haven. Everything is offered at bargain price (and by all means DO IT)—from new, used, and refurbished stuffs, to reparation services. Stores and stalls are ranging from official brand centers to illegal ones selling pirated CDs. Think of it like Jakarta's Harco Mangga Dua or Mall Ambassador. I've never bought anything at Pantip Plaza so I don't know whether the price really worth the quality of the the stuffs. 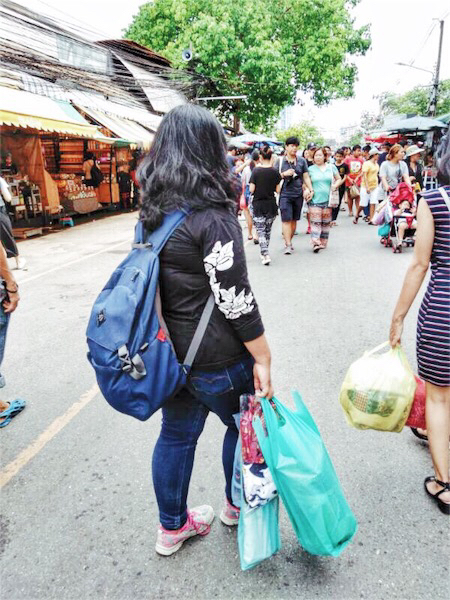 Never ever miss this market if you're visiting Bangkok—whether you're a shopaholic or not. 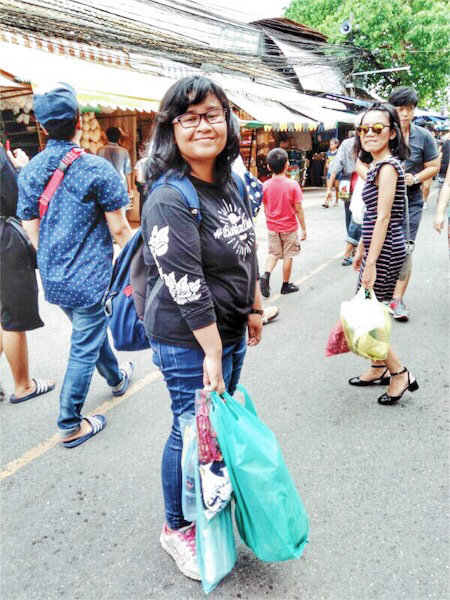 Chatuchak Market (or Jatujak Market) is one of the biggest markets in the world, consisting thousands of booths and stalls. The market is super huge that you'll likely need a full day to fully explore it. One tip: keep a handy map of the market with you. And as big as the place is, there's a wide variety of stuffs to offer: clothing, street food, souvenirs, paintings, plants, books... you name it. All at cheap price! And if you feel like your feet are killing you from walking and cheap shopping all day, there are many Thai masseuses who will be more than happy to massage those tired feet.